Far below the soil in central Minnesota's Bonanza Valley lies the groundwater that has helped make this sandy plain live up to its name, with endless rows of corn and scattered dairy farms. 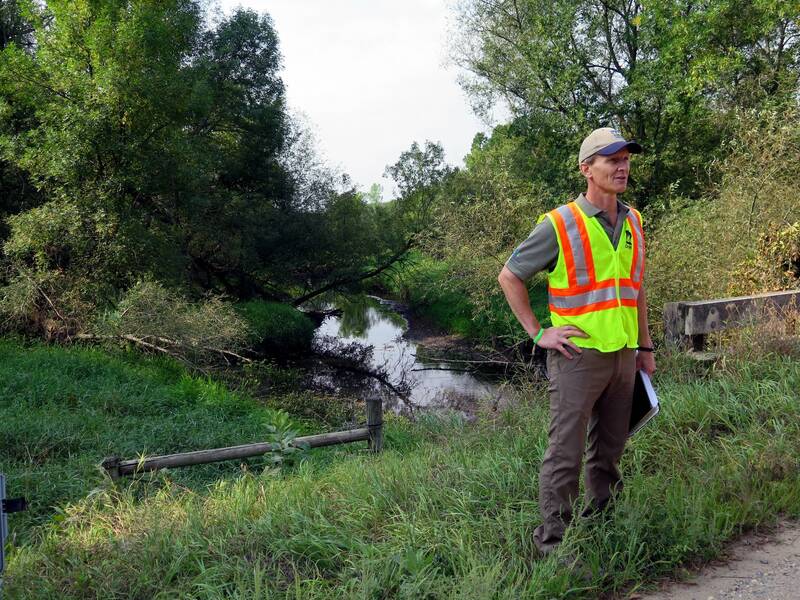 The region, which stretches northwest from Paynesville in central Minnesota almost to Alexandria, is one of three areas in Minnesota where growing demand for water is a concern — and where the state's Department of Natural Resources is taking steps to better manage its use. Researchers have been collecting extensive data in the Bonanza Valley to track the area's groundwater supply, so they can make sure there's plenty available for future generations. "It's because these resources are so important for families, for communities, for livestock producers, for drinking that DNR wants to continue to make water available for those purposes," said Mark Hauck, the DNR's manager on the project. "And the way we do that is to make sure it's sustainable." Throughout rural Minnesota, many people depend on groundwater: Cities and homeowners with private wells pump it for drinking. Businesses and industries use it for manufacturing and golf courses use it to keep the grass green. In the Bonanza Valley, the biggest users of groundwater are farmers irrigating their fields. Over the past 25 years, groundwater use here has risen about five times faster than the state average. 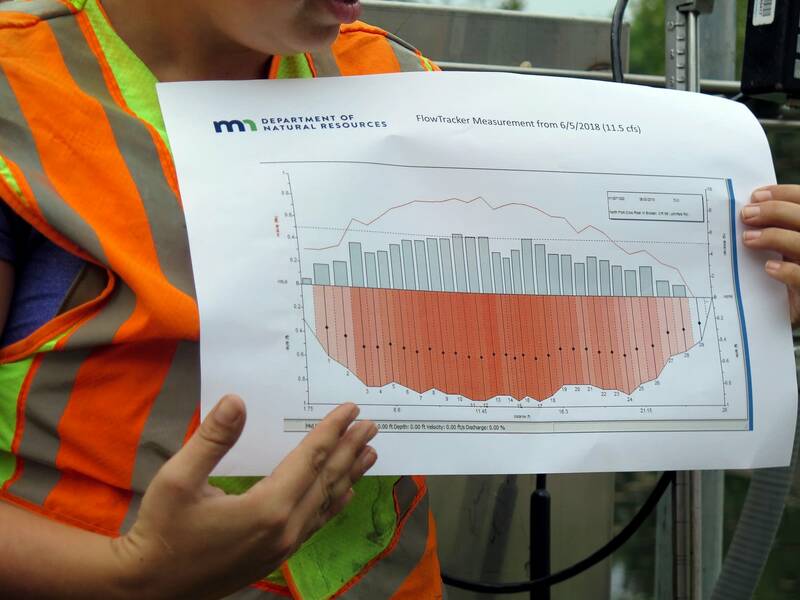 The DNR has been studying the area in an effort to better understand whether the level of use is depleting the underground aquifer faster than it can be replenished. 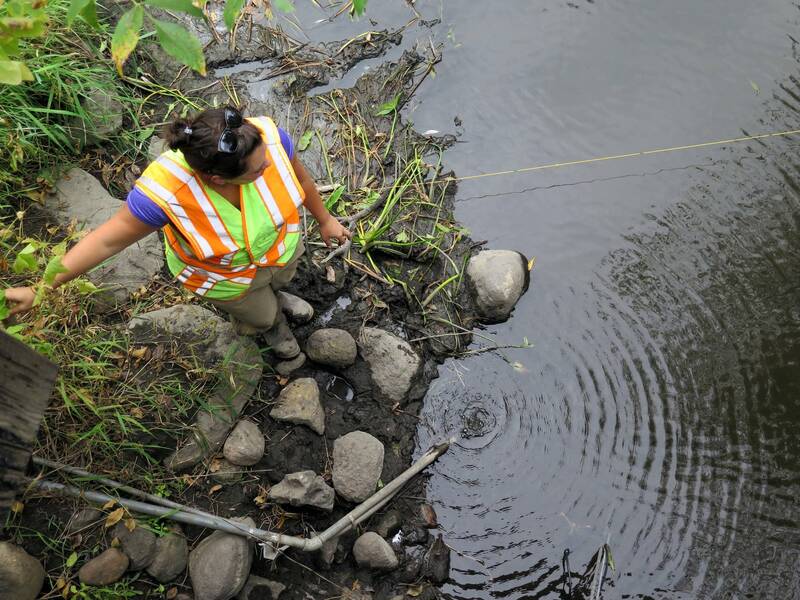 Staff hydrologists are also collecting data on whether groundwater use is affecting area rivers, streams and wetlands. "We need to have a better understanding of the hydrologic cycle," said Greg Kruse, water monitoring and surveying supervisor for the DNR. "When it rains, what happens to that water when it hits the ground? It runs off into the streams, runs into the wetlands, it soaks into the soils and it replenishes the aquifers." To gather that information in the Bonanza Valley, the DNR has 72 observation wells — small cylinders that extend 40 feet or more underground. The wells have electronic loggers that send hourly updates of the water level. Hydrologists also can hand-check the levels by dropping down the tube an electronic tape measure with a sensor that beeps when it hits the water's surface. To gauge the impact on rivers and streams, the DNR installed solar-powered stainless steel boxes at about 15 locations in the region. The boxes contain equipment to monitor the volume of water flowing, temperature, precipitation and other information. Hydrologists visit the sites every four to six weeks, year round, to check the measurements. The DNR has been collecting this data for about nine years. Officials say it will help them figure out just how much groundwater can be used without causing long-term harm. Farmers in the region, who depend on irrigation for their livelihood, are watching the project closely. Anyone who pumps large volumes of groundwater — more than 10,000 gallons a day — needs a permit from the DNR. DNR officials say they need at least 10 years of data before they can start to draw conclusions. Depending on what the data show, it's possible the agency could eventually decide to issue fewer permits or limit how much water permit holders can use. That would affect farmers like Grant Anderson, who farms between Belgrade and Brooten, Minn., with his father and two brothers. They raise corn, soybeans, sugar beets and kidney beans, as well as hogs and cattle. "We're just as concerned with the sustainability of the aquifer and the groundwater as anybody is, because it's our lifeblood," Anderson said. "It's what is able to support and sustain our farm." Anderson said farmers are already taking steps to use less water — from planting cover crops that help prevent erosion and conserve moisture to using technology to adjust their irrigation systems based on the weather. Anderson said many of his irrigation pivots have a cell phone attached to them, "so if we get rain in the middle of the night I can turn them off instantly from my pillow." 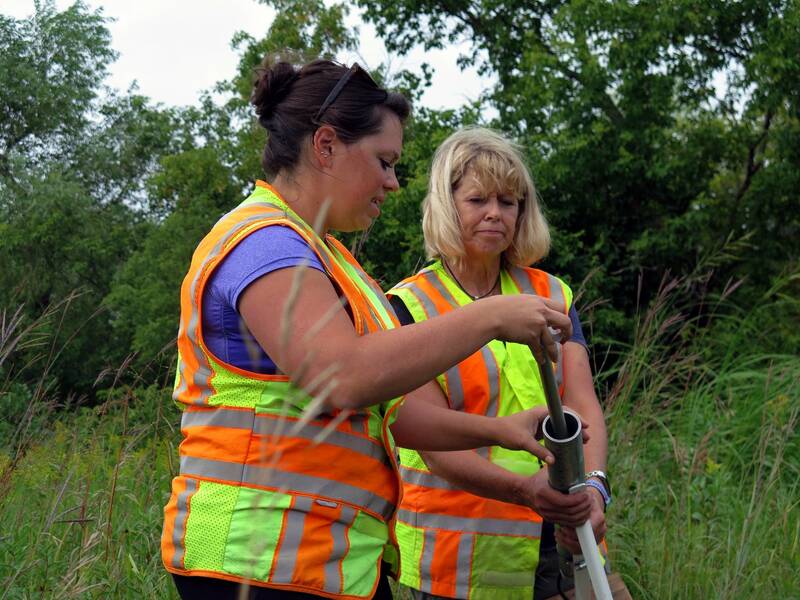 The DNR's effort to better understand what's happening with groundwater in critical regions of the state also has the support of environmental groups. The other management areas are in the northern and eastern sections of the Twin Cities metro area and the Straight River near Park Rapids. 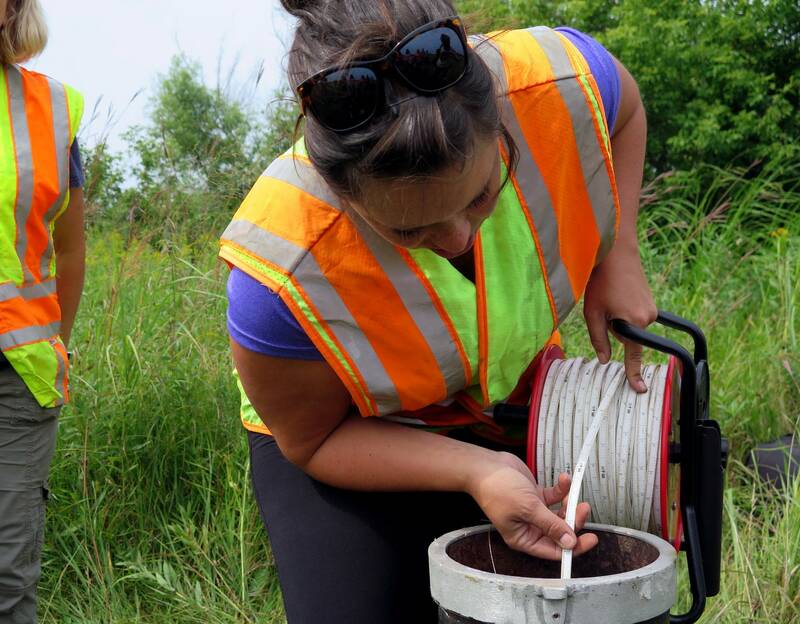 "In the metro area and even in southeast Minnesota, we have a pretty good understanding of aquifers, how they're connected and how pumping affects them," said Carrie Jennings, research and policy director for the nonprofit Freshwater Society. "Out there, [in central Minnesota], we just don't know." Minnesota is already seeing consequences of overtapping groundwater, Jennings said. The level of White Bear Lake in the northeast Twin Cities metro area has dropped due to too much groundwater pumping. That's the kind of scenario DNR officials hope to avoid in the Bonanza Valley, where groundwater is critical to the local economy, agriculture and citizens, Hauck said. "So it's also vital for us to assure there are sustainable supplies of this water," he said.